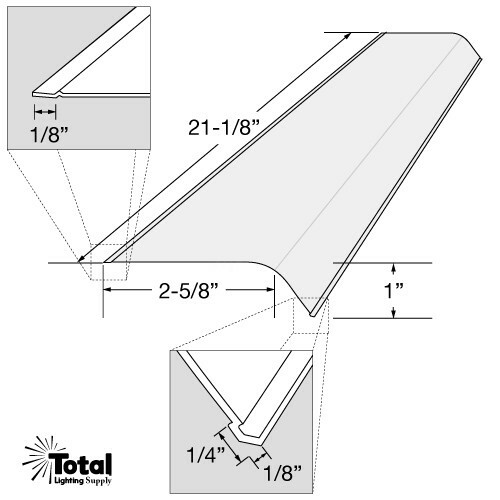 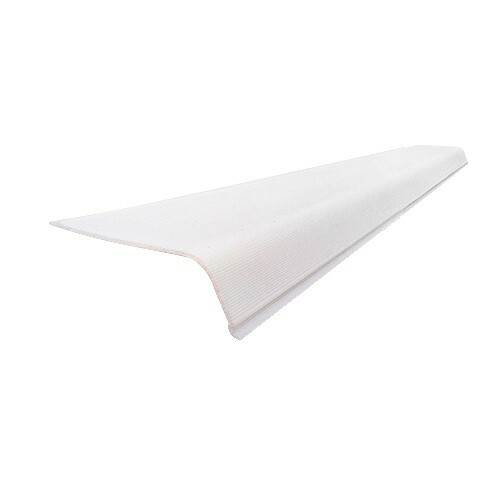 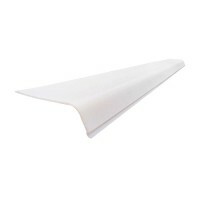 21-1/8" replacement polycarbonate fluorescent under cabinet light lens for 5" wide fluorescent light fixture. 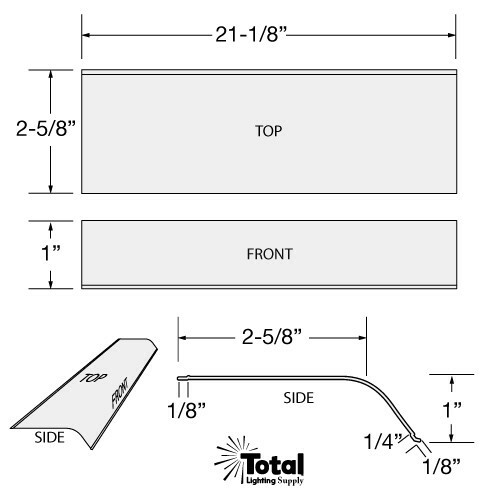 The Lens is in the shape of a "L" and measures 21-1/8" L x 2-3/4" W x 1-1/8" H. Please measure your fixture to make sure this is the correct lens. 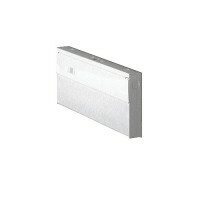 NOT for use with TLSU series under cabinet lighting.